My wife and I recently had the pleasure of visiting Italy, and wanted to spend a day visiting the postcard-perfect beaches of Sardinia. To our good fortune the captain was skilled enough to guide our boat close enough to the coastline of Spiaggia Rosa so we could catch a rare glimpse of its legnedary, magical pink sand. This gorgeous beach beside crystal-blue water owes its name to the color of its sand, rich in fragments of coral, seashells, and tiny specks of granite. Unfortunately tourists can no longer access its shores in a bid to protect its pink sand, but you can still admire it from afar (like we did), or you could save yourself a trip and capture its rare and magical essence with the Spiaggia Rosa Collection. 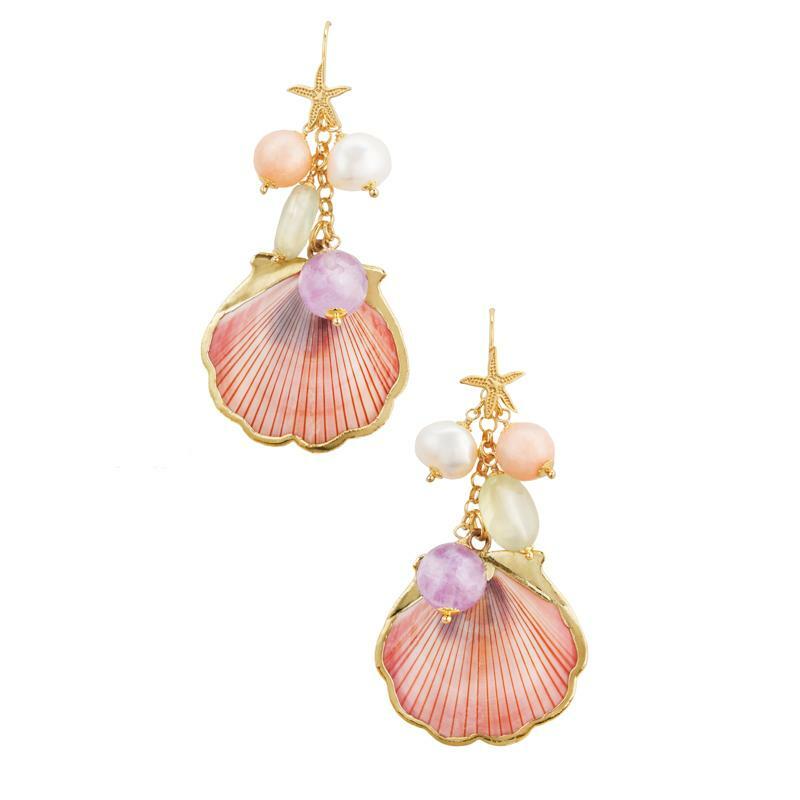 Real seashells tinted a blushing pink, dangle below stones of green and pink amethyst and freshwater pearls along with aventurine, a stone said to bring luck and opportunies (like our wrong turn) and derives from the Italian “a ventura” meaning “by chance.” The collection is finished in 18K gold with the meticulous care and attention to detail that only comes from handmade artisan pieces. Priced for what you’d spend on a great meal, but guaranteed to bring you joy forever and maybe inspire a little wanderlust.